“The new co-branded account will be offered in every Isis Mobile Wallet as a part of a nationwide launch later this year, enabling millions of Americans to tap and pay using their American Express Serve account,” the financial services giant says. 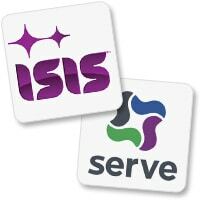 Isis Mobile Wallets are to feature an Isis and Amex co-branded prepaid card that runs on American Express’ Serve platform. During the Salt Lake City and Austin pilots, Isis phones came with an Isis Cash Card, a prepaid Visa card issued by Chase. Customers will also receive a companion plastic card they can use at any merchant that accepts American Express.